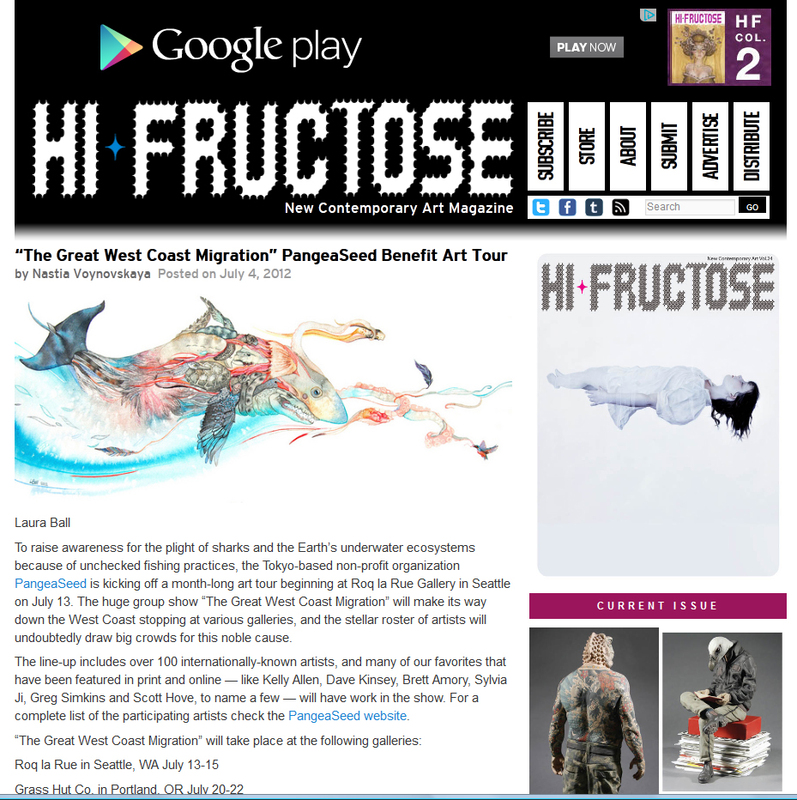 More good press this week- I had a nice surprise this morning when I discovered my painting for “The Great West Coast Migration” traveling exhibit is featured on Hi-Fructose. Over 100 artists have come together to support PangeaSeed’s conservation and preservation efforts for sharks and oceans in Japan and beyond. The exhibit will travel to galleries along the West Coast starting this Friday (the 13th- eek!) at Roq la Rue in Seattle. For the tour schedule and to check out some of the featured works (including my own!) visit this direct link: http://hifructose.com/2012/07/04/the-great-west-coast-migration-pangeaseed-benefit-art-tour/.